Chicken cooked with peppers, garlic and hot spices. 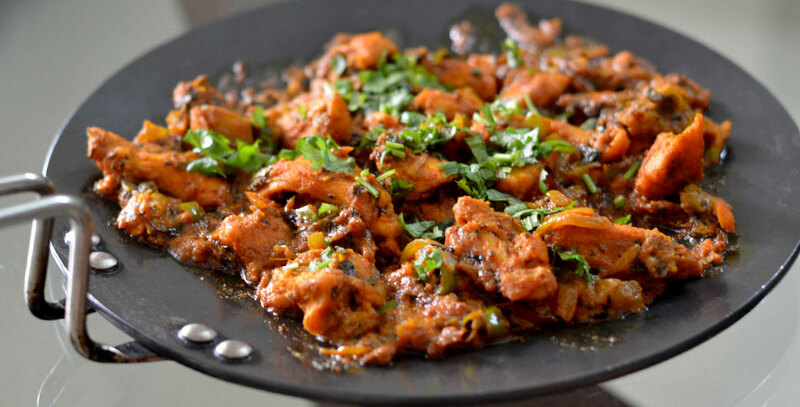 Boneless chicken cooked in a harmony of punjabi flavours. Chicken cooked in a coconut cream sauce. Chicken and green peppers cooked with and onion and tomato sauce. Chicken marinated with yogurt in a thick creamy sauce. Chicken with fresh spinach leaves cooked in a mustard sauce. Roasted chicken chunks in a spicy creamy sauce. Fenugreek and chicken mixed in a thick sauce.